I am pleased to announce that the British Army’s Soldier Magazine has not only reviewed Sevastopol’s Wars in its latest (May) edition, but also has made it ‘pick of the month’. 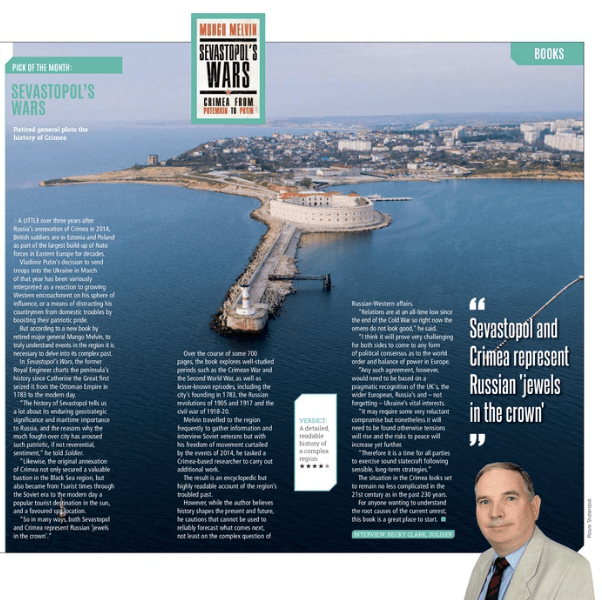 Based on an interview with me, Becky Clarke sums up my detailed historical study of Sevastopol and Crimea as as ‘an encyclopaedic but highly readable account of the region’s troubled past’. The complete review article is available here (hard copies will be available soon, I understand). Readers may find my comments on the current situation between East and West, although not reflected in Sevastopol’s Wars, of some interest. Although entirely speculative in nature, I believe something must ‘give’ in the current stand-off between the West and the Russian Federation. Otherwise the running sore (in reality a bloody conflict, despite the Minsk peace agreements) in Eastern Ukraine is set to continue – and Crimea will remain unrecognised as part of the Russian Federation in most countries. 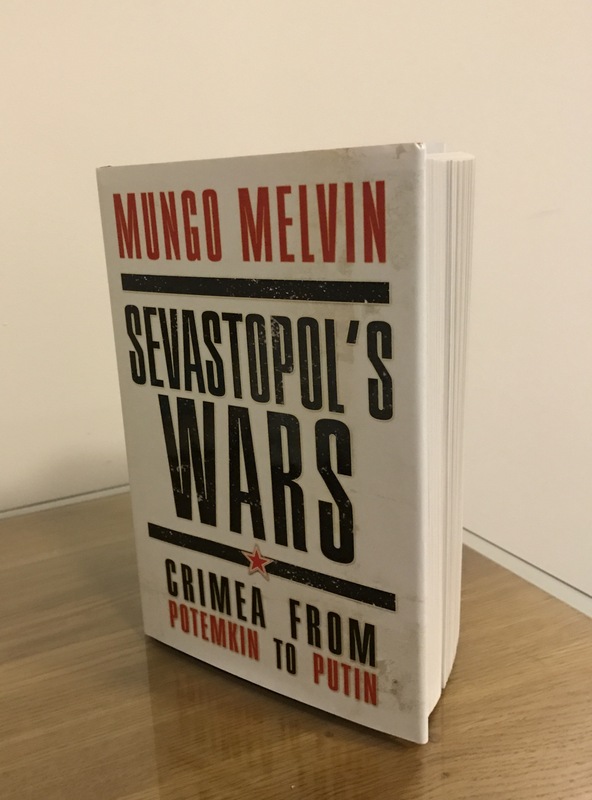 Sevastopol’s Wars: Crimea from Potemkin to Putin was published by Osprey in April 2017. Becky Clarke then concludes her review by stating that the ‘situation in the Crimea looks set to remain no less complicated in the 21st century as in the past 230 years’. She then adds: ‘For anyone wanting to understand the root causes of the current unrest, this book is a great place to start’. Perhaps it would be asking too much for ministers and senior officials in the Foreign and Commonwealth Office and in the Ministry of Defence to find sufficient time to read such a long book of over 700 pages. But perhaps some of their advisers should – for not only does Brexit beckon, but also a new Security and Defence Review seems increasingly likely following the General Election on 8 June 2017. Some tough choices on government spending will have to be made. Cutting our Defence effort, however, would not be wise strategically. Russia, for example, continues to augment its capabilities as ours look increasingly fragile. In the meantime, I have happier news to report. Tomorrow I start on my journey north to Loch Ewe in northwestern Scotland. On 6-7 May, there will be a gathering there of Russian, British and Canadian veterans to commemorate the Arctic convoys. My next post will describe this important event, reminding of us a time when Allies (Soyuzniki) – from both East and West – were united in a common cause.